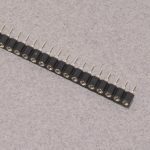 This breadboard pitch 0.100″ 40 pin female header is typically what is found on boards like the Arduino Uno (just a lot longer!). 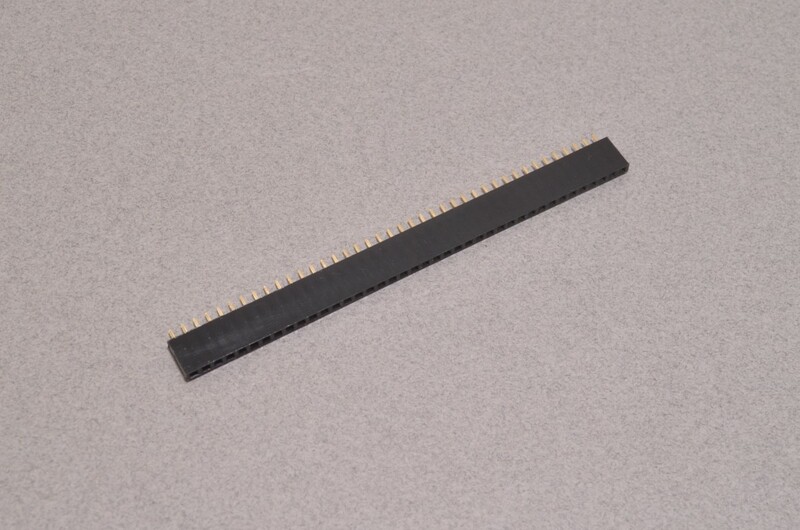 The headers mate with our breadboard pitch male connectors and are great for making structural multi-pin removable connections between boards. 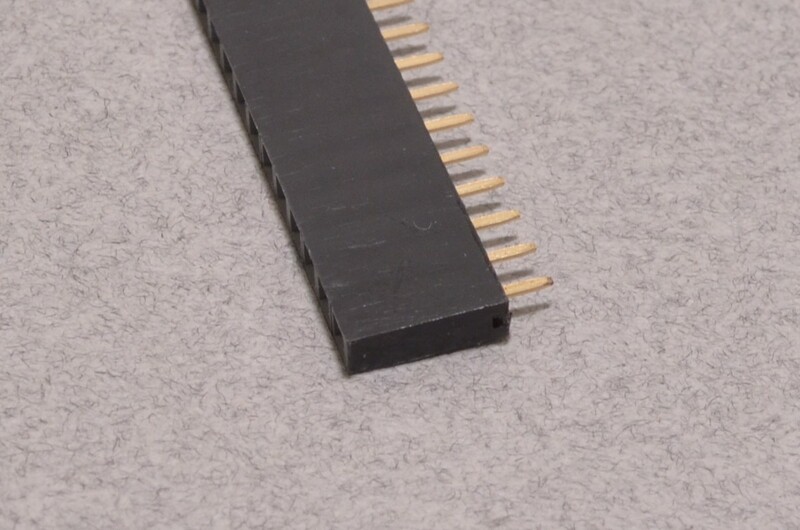 The connector is 40 pins long and can be trimmed to length. 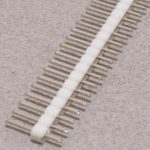 When cutting, we recommend removing the next pin over and cutting through its position rather than trying to cut between. The thin walls between each socket do not allow sufficient room for cutting. SKU: ACC-032. 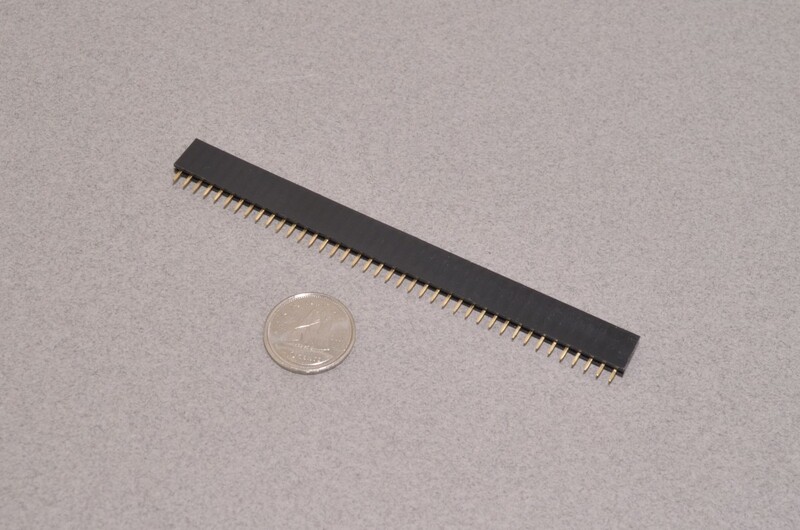 Categories: Headers, Breadboard Pitch Female Headers. 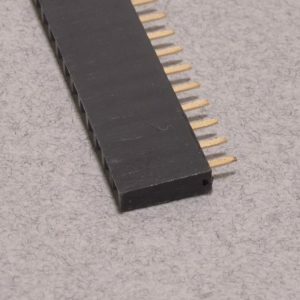 Tags: Connector, Header, Light Packet.